A FIT’s transparent, streamlined process and guaranteed, long-term payments for energy limit the investment risk for developers and financiers. This lowers financing costs and helps assure investors and developers that they will get a predictable return on their investment. FITs encourage energy to be produced and used locally, which avoids the expensive and inefficient long-distance transmission of energy from distant power plants. FITs allow for the development of wind and solar projects in underutilized spaces. 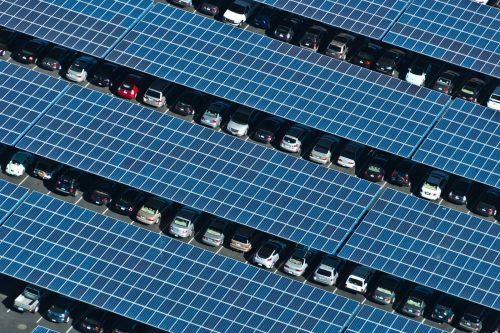 Rooftops, parking lots, and fields can be turned into energy-generating revenue creators. Solar power — a technology often used in FITs — generates power during times of peak usage, giving ratepayers access to cheaper power at periods of high energy demand. By diversifying energy sources, FITs help insulate ratepayers from volatile spikes in the price of fossil fuels. FITs can often save consumers money. The world’s most effective FITs define ratepayer impact as part of program design, so any rate hikes are known upfront, eliminating surprises. Gainesville, Florida increased its solar capacity by 3,500%, while raising electricity rates by less than 1% — about a dollar per month. Sacramento, California brought 100 megawatts of clean local energy online without raising rates for consumers. FITs also result in clean local energy projects, avoiding the expensive transmission of energy over long distances from centralized power plants —which can comprise nearly 25% of the price a consumer pays for energy. Additionally, solar power provides generation during peak demand periods, producing normally expensive “peak energy” at lower costs. Here’s the key difference: net metering allows for reduced electric bills — even the possibility of reducing your power bill to zero. But a FIT opens the door to a steady revenue stream. Net metering uses a single meter to record both the electricity a family, business, or organization uses and the excess generation your renewable system sends back to the grid. The meter spins backward as you feed extra energy into the system, and forward as you use energy. The energy you generate can cancel out the energy you use, but it can’t make you money, no matter how much renewable capacity you install. FITs feature a separate meter to measure power produced. If you are a utility customer, you continue to pay the retail rate for electricity consumed. And you also get paid the wholesale rate for every watt of clean, renewable energy you generate and sell to the local utility. If your project generates enough energy, you can make more than you spend on energy from the grid. Well-designed FITs encourage broad participation by individuals, businesses, and organizations in a community. Participation can be direct — by installing rooftop solar panels, for example — or through shared ownership in community power projects. FITs allow everyone in the community to benefit, regardless of whether or not they own land. FITs offer communities a proven tool for developing local renewable power without reinventing the wheel. It’s especially good for developing cost-effective clean energy projects that take advantage of underused spaces in our communities — from landfills to parking lots to rooftops. FITs also help overcome utilities’ historical preference for large-scale, centralized power plants, while addressing the limitations of existing renewable programs such as net metering. Proven to unleash wholesaled distributed generation (WDG), a vastly underserved market segment.